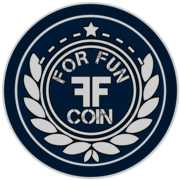 Custom Description: ForFun coin is a community coin based on waves platform Best choice if you are a HOLDER If you hold at least 10000 FORFUN COINS you are FORFUN MINER, and we will pay you 3% reward every month!!! DAILY PAYOUTS 0.1% !! !